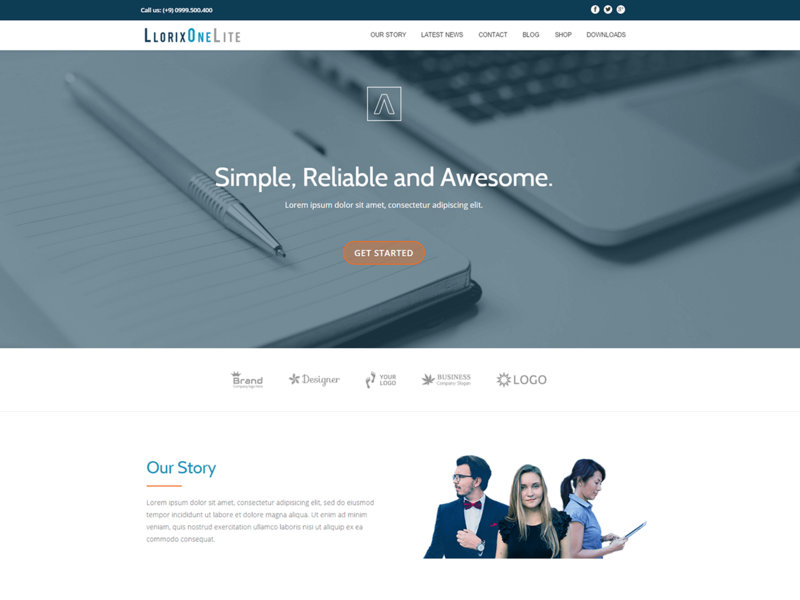 Llorix One Lite is a free and beautiful business WordPress theme, with a flat clean design and an elegant parallax effect. It provides a simple and professional look that can be used for any kind of businesses or startups. Llorix One Lite has a blue & orange appearance, with buttons and icons promoting simplicity and elegance at their best. The theme provides a responsive blog section, is ecommerce ready (WooCommerce compatible), WPML and SEO friendly. You can use it for your business / startup, agencies, corporate websites, or portfolios.